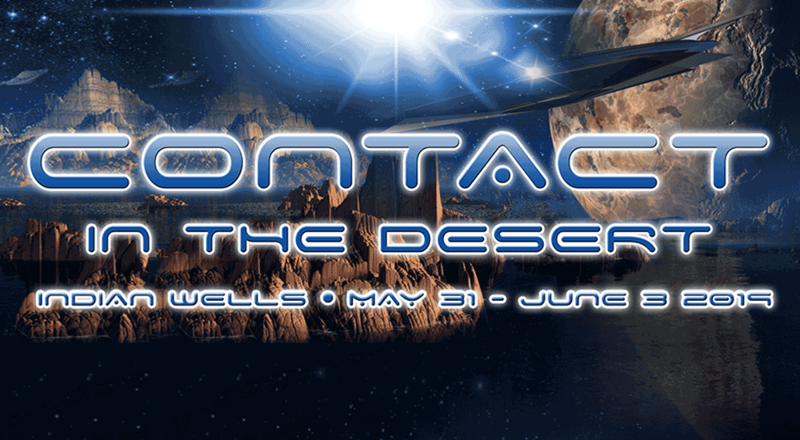 This weekend will host the most comprehensive group of experts ever assembled in the UFO field, from FBI, NASA, military, and government officials, to ancient alien researchers and scientists, as well as archeologists, astronomers, and cosmologists. Expected speakers include CONTACT IN THE DESERT returnees Author and World Explorer David Hatcher Childress: Chariots of the Gods author Erich von Daniken; Ancient Aliens star Giorgio A. Tsoukalos; George Noory host of Coast to Coast AM; South African researcher Michael Tellinger; British Government Ministry of Defense specialist Nick Pope, and best-selling author/screenwriter of the Communion series and film, Whitley Strieber. New, highly anticipated speakers for 2019 include two-term Utah Congressman Merrill Cook, rocket scientist David Adair, quantum researcher Nassim Haramein, Australian abduction specialist Mary Rodwell, British crop circle expert Maria Wheatley, and Harvard astrophysics researcher Dr. Schild, to name only a few.